When I saw the gorgeous Scarlett & Jo Multicoloured Floral Kimono with Black Dress over on the Evans website, I knew that it would be perfect for the theatre and drinks party my friend was hosting for her birthday. Our local theatre do a great package where you can book a table before the show and have drinks for your party which is such a good idea. I wanted something sophisticated and feminine for the event and this outfit seemed perfect for that. You get a sleeveless black dress that is in a very stretchy material to wear underneath and then the kimono is attached to it with a loop and small button, meaning that it can be removed so that you can wear it with other pieces which I really like the idea of. I’d say that the dress itself is very true to size and it is a great basic to add to my wardrobe. However the star of the show is the floral kimono thanks to its multicoloured floral pattern with beautiful hues of blue, green and purple. The kimono is a fantastic fit, quite generous in size and in a chiffon style material which gives this outfit an effortlessly chic look. It has wide, half length sleeves that are floaty and feminine and a great addition, especially if you’re someone who likes to cover their arms. I love how this outfit is interchangeable and I can see me wearing it for many months to come going into the summer. The kimono would even look great with white underneath or even over a bathing suit for a pool party. I’ve paired this dress and kimono with my black peeptoe heels (similar here) and my Lulu Guinness Lips Clutch which I just adore. 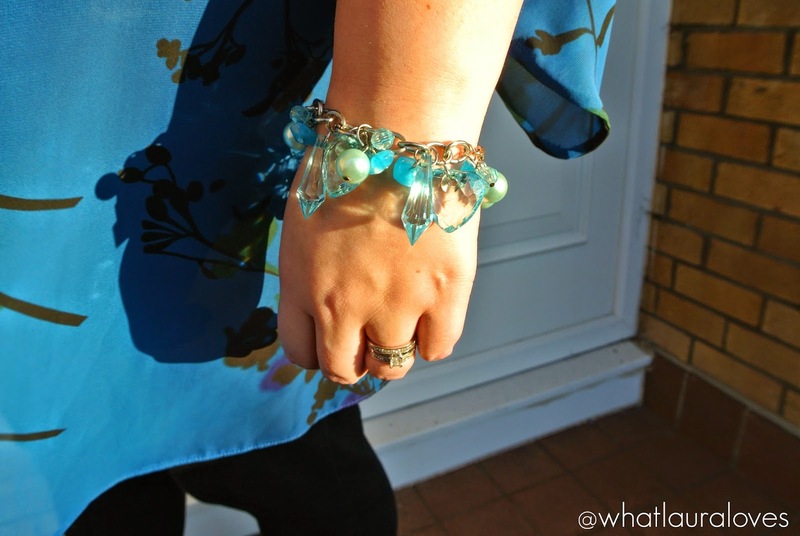 For jewellery, I chose a necklace and bracelet that both have blue and green tones in them. These were gifts many moons ago and I’m not sure where they’re from but I doubt they’d still be available now, sorry lovelies! 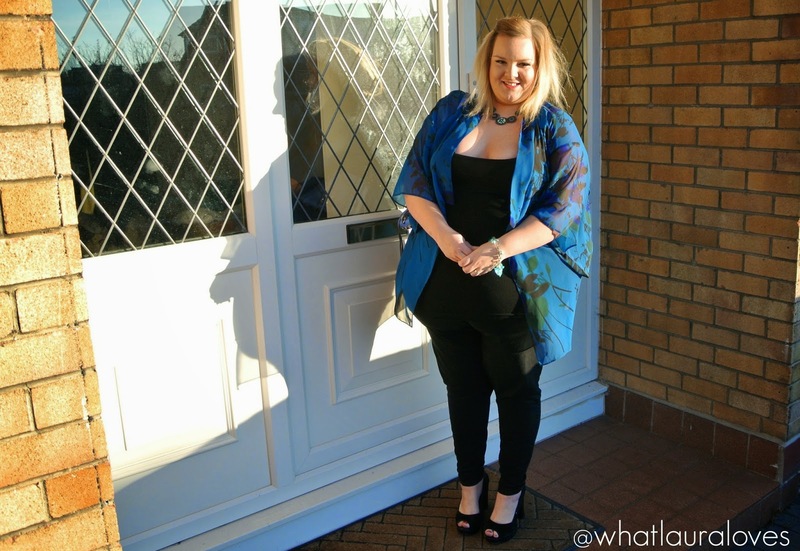 For ladies who prefer to wear trousers rather than dresses, I have also paired the kimono with a pair of the ASOS Curve Pull On Jeggings and a black cami from Evans that I got many moons ago. There’s a similar one on the Evans website here. 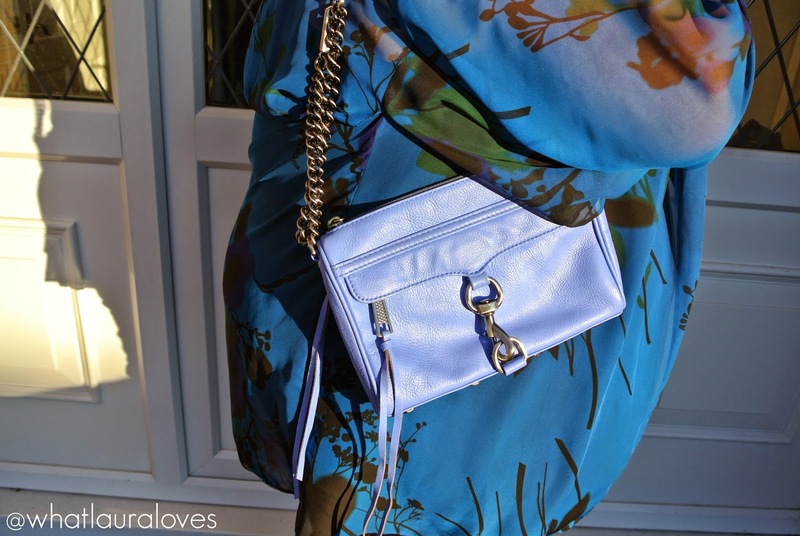 I switched up my bag here too and carried my beautiful Rebecca Minkoff Mini Mac bag in twilight with gunmetal hardware. 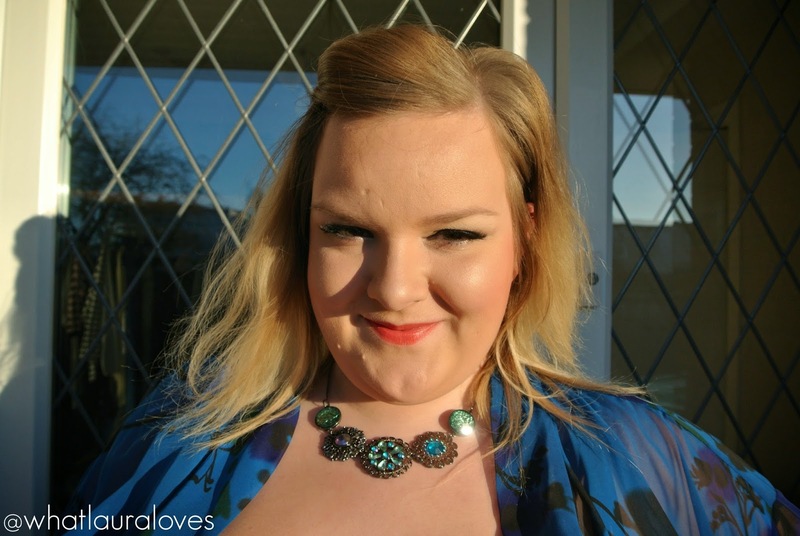 To find out more about the makeup look that I’m wearing here, check out this post. What are your favourite pieces from the new Scarlett and Jo collection at Evans? What a gorgeous ensemble! I love the kimono look, and the beautiful colors of the one you purchased. You are reminding me that when I lived in New York I used to often wear kimono jackets over black dresses, skirts or pants to the opera. Those were the days!